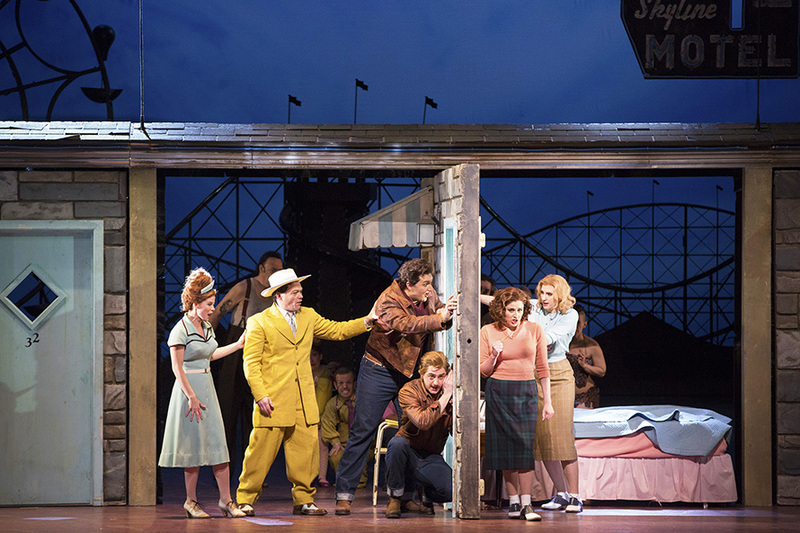 Cosi fan tutte Opera: Mozart Meets Coney Island - What Should We Do?! Bearded ladies? Contortionists? And you thought the classic opera couldn’t learn any new tricks. The opera event of the spring season is here, and it’s a three-ring circus. Seriously. Director Phelim McDermott has brought some of the lurid oddity of the carnival freak show to the ivory halls of opera, and the mashup of high and low is surprisingly apt. McDermott’s 1950s Coney Island setting of Così Fan Tutte includes not only the usual confused lovers and silly disguises, but also a snake charmer, sword swallowers, and a pair of jolly dwarves. Così Fan Tutte (1790) was the final collaboration between the musical genius Wolfgang Amadeus Mozart and librettist Lorenzo Da Ponte, a prolific pair who also created Don Giovanni and The Marriage of Figaro. Again, the focus is on love, deception, and forgiveness. Two besotted soldiers get into an argument with the cynical roué Don Alfonso about the unswerving loyalty of their girlfriends. Alfonso makes a bet that he can prove the flimsiness of women’s devotion and orchestrates a series of elaborate hoaxes and seductions. Will the ladies fall for it? 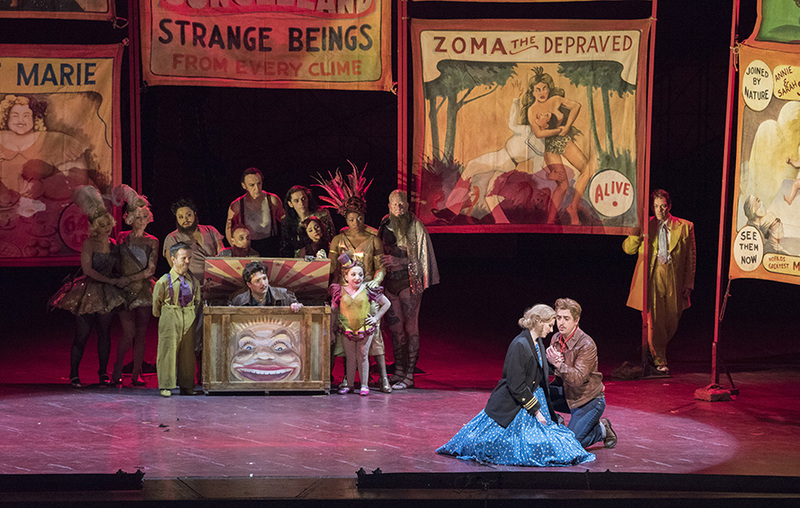 The mostly young cast sings beautifully, and McDermott’s staging is clearer and coaxes out better acting than the previous, period-appropriate Così at the Met. Maestro David Robertson gives a stately yet pert account of Mozart’s endlessly enchanting, shimmering score. Think the opera is a stuffy highbrow zone? The bearded lady would beg to differ. 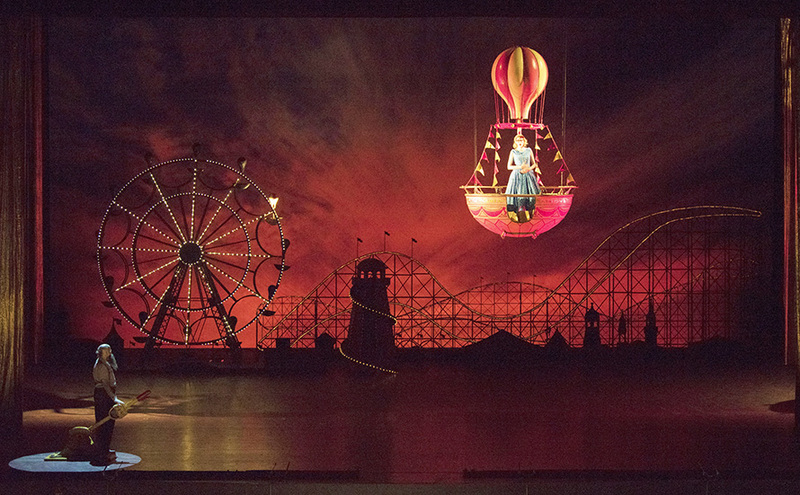 Why You Should Go: Mozart’s operatic warhorse is refurbished as a dizzyingly fun amusement park ride. Want even more tips and recommendations from New York’s leading experts? Try our mobile app. New York, curated just for you.